← Cake with Cream Cheeses Frosting! 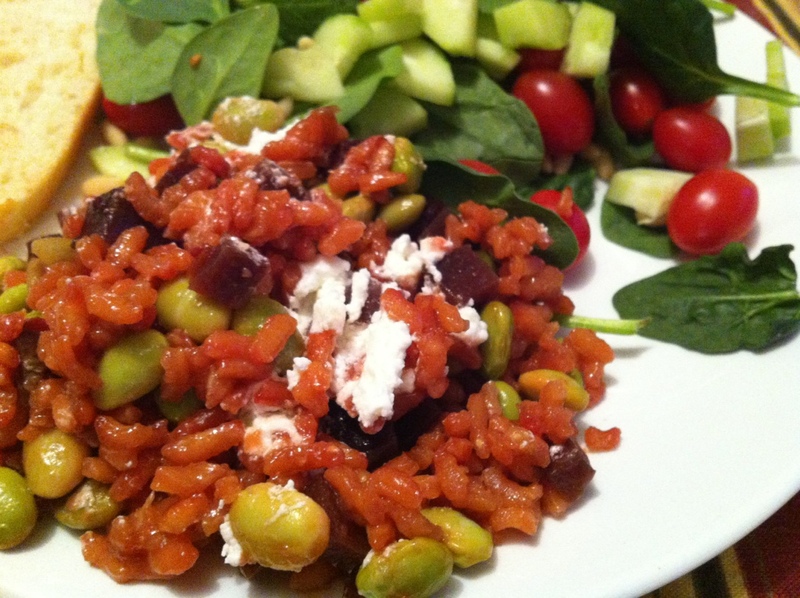 Beet, soy bean risotto with goat cheese sprinkled on top. With a side salad of course! This entry was posted in Dinner. Bookmark the permalink.